Escape the heat of summer at Mt. Laguna, 5200 feet above sea level. In summer enjoy the expansive meadows and cool summer breezes. In the spring view colorful wildflowers and the three crystal-clear lakes. Sunrise highway offers several panoramic views of the desert below. The most obvious is at the nature trial by the picnic area. However, a less obstructed view can be found from the parking lot of the FAA Mt. Laguna station, home of San Diego State University’s Mt. 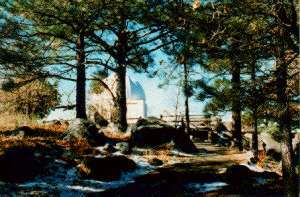 Laguna Observatory. Feel free to use our convenient search tools to find your Mount Laguna Real Estate.